August is over and we just a few weeks away from the first official day of Fall. 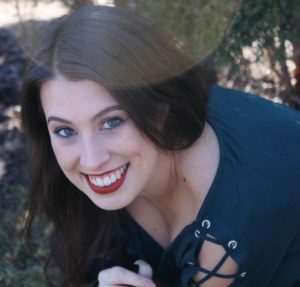 Despite not wanting summer to be over just yet, I am secretly stoked for deep lip colours and pumpkin flavoured everything – drinks, candles, body wash – you name it, I want it! Yes, yes…it’s all very exciting, but first we need to discuss the beauty products and lifestyle items that stole my heart last month. While I have nothing but positive things to say about the formula of ColourPop eyeshadows, I’m more so obsessed with the colour and duo chrome of this beauty. It’s unique, yet very versatile. I’ve paired it with a myriad of colours, but my favourite combination so far is with a pinky-red in the crease. You can expect to see a fall inspired look featuring this eye on the blog in the next couple of weeks. 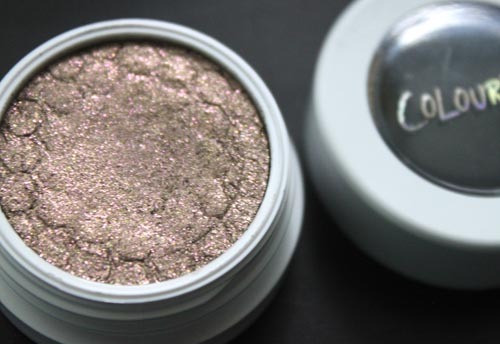 Pretty much every time I wore makeup last month I reached for this metallic olive shadow. I just think it is so beautiful and I can’t get enough! 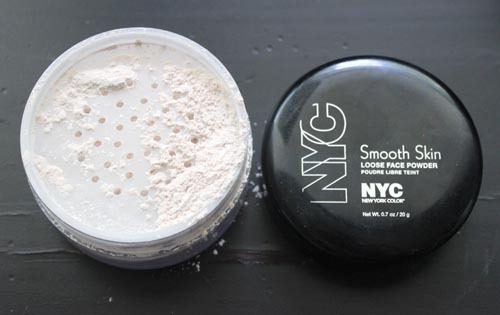 I’ve been using the NYC Smooth Skin Loose Powder with my Real Techniques Sponge to swiftly ‘bake’ my under eye areas. If you’re a newbie in the makeup department, ‘baking’ is a step in which a loose powder is packed fairly heavily onto the skin and left there for five or 10 minutes to melt and set the concealer. Once time is up, a soft brush can be used to flick away the excess powder. My skin is a little too dry for long periods of ‘cooking’, so I just let it sit for a minute or two. The end result is smoother looking skin and minimal creasing throughout the day. I’m amazed at how flawless my skin appears when I use this powder. Pores seem to be filled in but it never looks cake-y. It’s a definite drugstore gem in my opinion. A couple of weeks ago I wrote a really intense exam (I’ll talk more about this in my next blog post). This candle helped me focus and stay zen, despite downing five – or six – cups of tea, which led to some serious caffeine jitters. 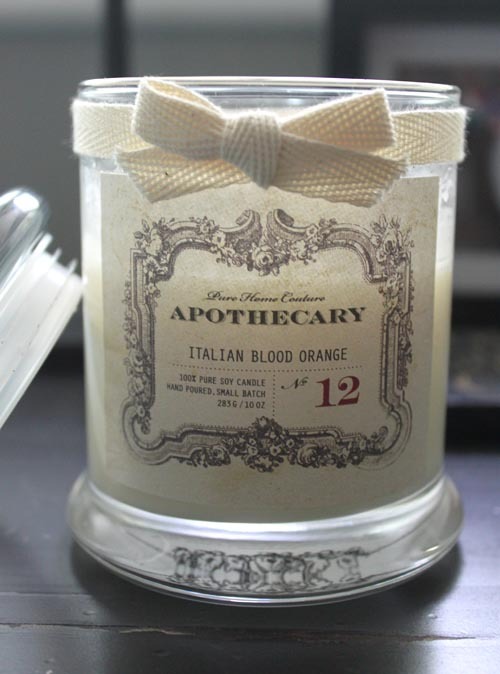 The bright, citrus scent filled my room and acted as an energy booster when I needed it the most. I’m also obsessed with the packaging! Isn’t it beautiful?? 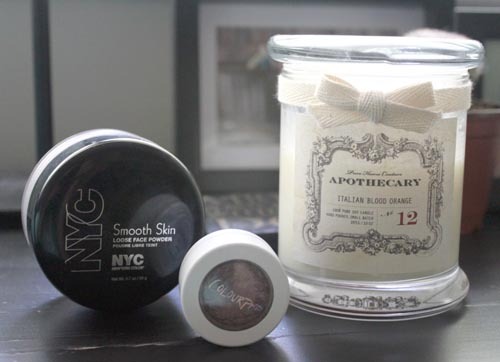 I love the shape of the glass jar, the sophisticated label and the cute little bow tied around the top. If you have not watched or even heard of this show yet, you’re probably hiding under a rock. GET ON IT! It’s strange. It’s dramatic. It’s horrific. It’s mysterious. It’s amazing!! I’m not much of a sci-fi gal, but I absolutely loved this show! I think it would cater to a variety of audiences because there is so much substance to the plot. There’s a couple of love stories that form, some humour and many scenes of terror. Admittedly I binge watched the last five episodes on a rainy day. The suspense was too much to handle and I just couldn’t wait to see what happened next. Stranger Things is one of the very few shows Dev and I have watched together and it’s been renewed for a second season to be released in 2017, which makes me a happy, happy Birdy! That’s it, that’s all! Farewell August, it’s been grand.